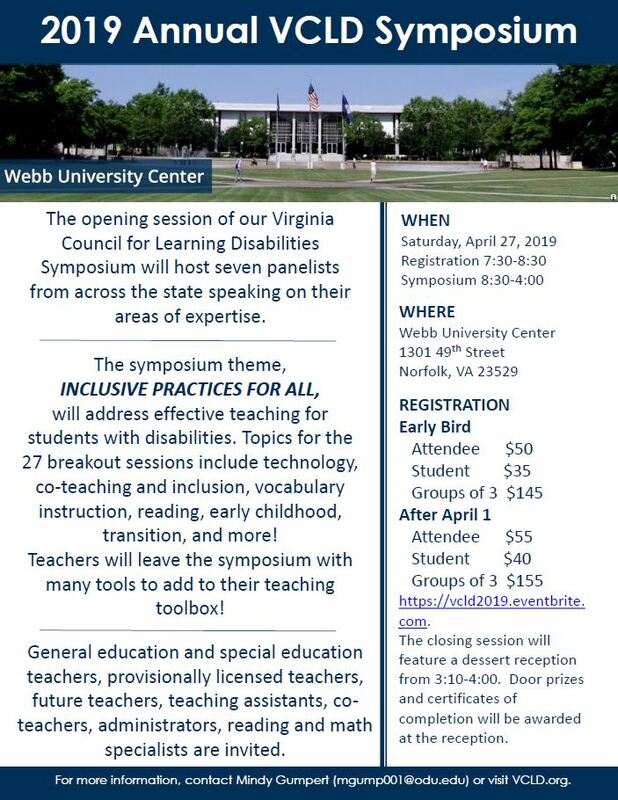 Our VCLD Spring Symposium is sold out! To view the full symposium schedule, including 27 breakout sessions, click here. To view the descriptions of breakout sessions, click here.